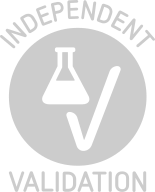 Application Notes Recommended Dilution: specific information about dilution is going to be included on a vial. Background publications De Diego, Rodríguez, Dodd, Pérez-Alfocea, Moncaleán, Lacuesta: "Immunolocalization of IAA and ABA in roots and needles of radiata pine (Pinus radiata) during drought and rewatering." in: Tree physiology, Vol. 33, Issue 5, pp. 537-49, 2013 (PubMed).